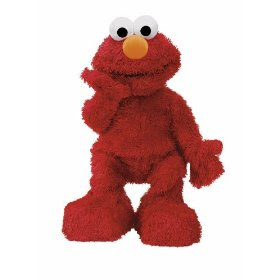 You can grab this Fisher Price Elmo Live Encore Doll for only $35.00 shipped over at Amazon right now. He normally runs $69.99 – so this is a 50% savings! Don’t forget to use your CashBack PayPhrase at checkout and you’ll even get paid 5% cash back! This offer is good today only – December 13th. After that, the price will skyrocket back up to $70!